combine the butter, garlic, juice, Worcester sauce, cheese, salt, pepper, cayenne and parsley and put aside. 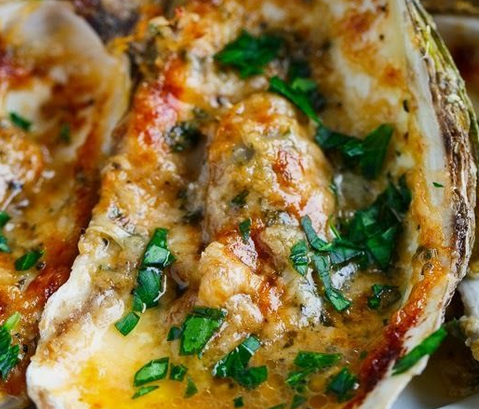 Place the oysters on a preheated 350F/180C grill, let cook till the juice begin to bubble, spoon in ~1 tablespoon of the butter mixture onto every oyster, sprinkle on the cheese and cook till the cheese is golden brown. Sprinkle on the parsley and serve directly with additional butter, lemon wedges, sauce and bread. 0 Response to "Chargrilled Oysters"